I threw that last one in there because I'm cancerous, not dead. 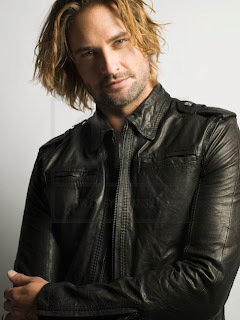 Josh Holloway goes a long way into spicing up any blog, if you ask me. And just for the record, you shouldn't have a big ugly gash on your noggin either! I didn't know who Josh Holloway was until today. Anonymous - I hope by now you have googled Josh and seen the many beautiful pictures of him. It's quite the treat. Amy, I'll have to post about my hair, with a photo or video. Three weeks out of taxol and its 90% covering my head but the texture is more like duck down than hair. Since mine appears to be mostly white, I can't get the glamourous Audrey look until I can dye it. Can you dye duck down?